Hey. Thanks for looking. 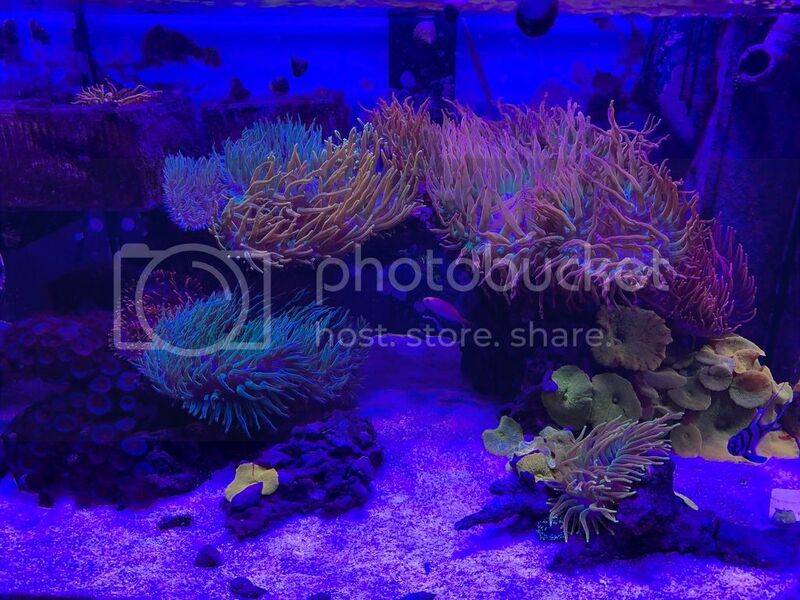 I been reefing for the past 10 years and wanted to share and document from here on. Hopefully I can learn a lot directly from you all. I have had my current Elos setup since 2012 and there were many ups and down since then from not having power with sandy and a couple of moves. I believe you pay for what you get anx Have to have reliability because I have less time to do maintenance. For livestock I love clowns so having a premium pair is a must. Along with the clowns I made this a Bubble tip anemone tank along with a jawbreaker colony that started from a single one a size of a dime. OG Colorado sunburst traced back to keys. Let me continue to update and let me know if u have any questions!! Last edited by kimilkwon; 12-07-2018 at 10:58 AM..
Do you see a noticeable difference from the Key's and Gonzo's CSB? Very cool my tank is a deep blue 80g thats also a nem clown tank. I have about 20 clowns and 20 nems atm. Just added a jawbreaker and bounce but other than that simple. Love yours and wouldnt mind trading nems at some point. Thanks pecan2phat! my keys is traced back to you, got mine from allen. My OG has been growing and never split, more sensitive as it has come back from from death multiple times. The Gonzo stayed smaller and goes into phases more often. from the traditional green base red, orange to yellow tips to yellow phases that is like lemon drops especially when they are smaller. Do you still have the tank with all the CSB's? sounds good! would love to get a bunch of clowns and more nems if i had the room! Nice tank. 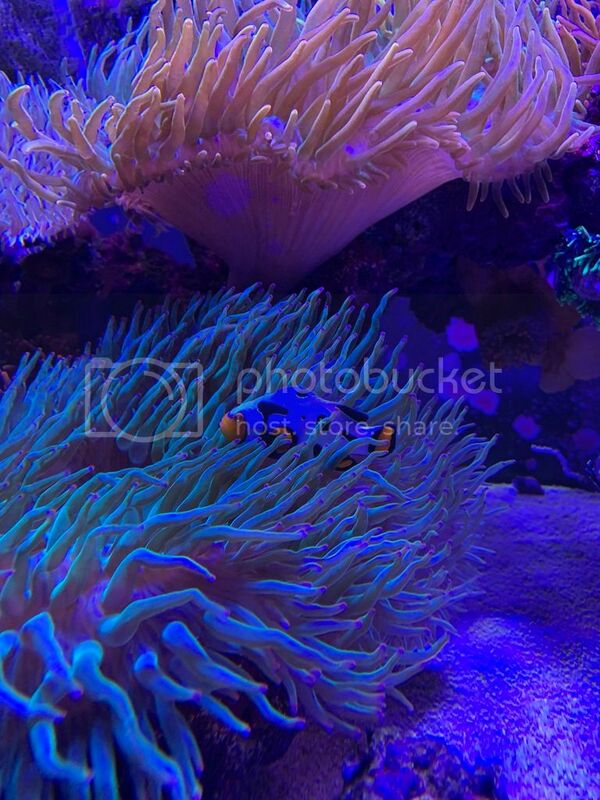 Love all the great colors in the nems. Looking forward to picking up the rainbow from you. I'm torn on how I feel in regards to the way folks have priced these beauties but that's another story. The CSBs from my lineage have thrived in less then stellar water parameters. When I tell Nem experts that they were housed off a fowlr system with high P04 and moderate to high N03, it kinds of throws them off balance. I was at the CMAC show back in October and 2 vendors had CSBs. 1st vendor had my clones @ about 2" each and the other was Cherry Corals. 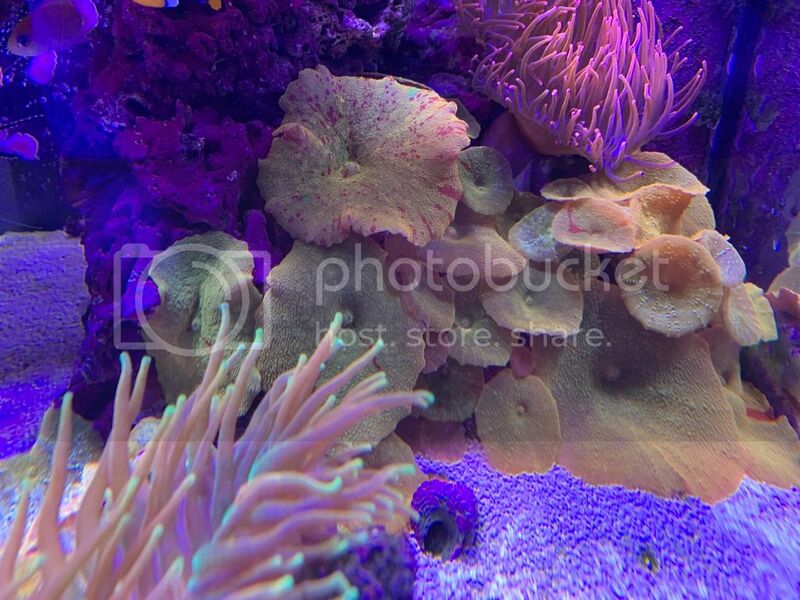 I honestly could not even tell that Cherry Corals were CSBs, they looked very dull, I had to ask him what they were. I'm glad yours is doing well! Those jawbreakers must come from great lineage.